It’s hard to beat a dehydrated meal in the backcountry. The combination of good flavor and virtually zero effort is what makes brands like Mountain House staple foods. 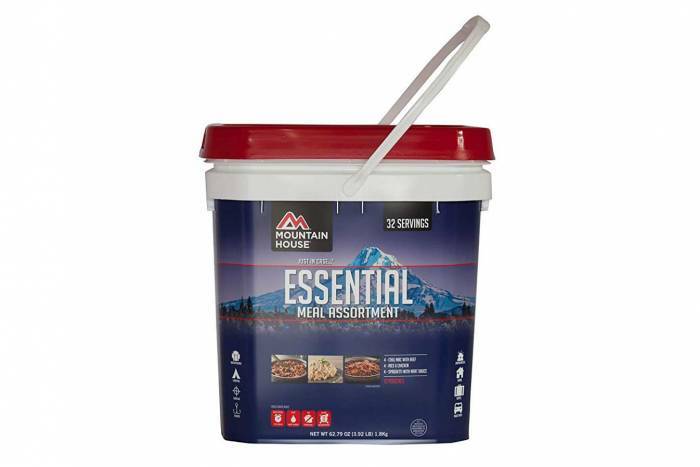 And with its 30-year shelf life guarantee, it’s hard to pass up this sale on Mountain House’s Essential Bucket. Now 23 percent off, the Essential Bucket yields 32 total servings in 12 pouches: four Mountain House Chili Mac with Beef, four Mountain House Rice and Chicken, and four Mountain House Spaghetti with Meat Sauce. 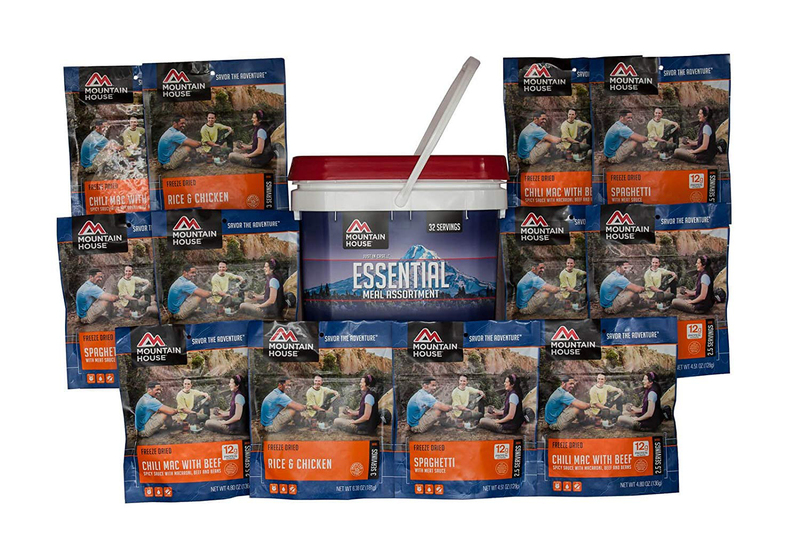 Each meal packet offers three servings for backpacking, camping, or emergency preparedness. To cook, just add hot water and you’re good to eat in less than 10 minutes.